Many people feel priced out of the market and unable to invest in property. 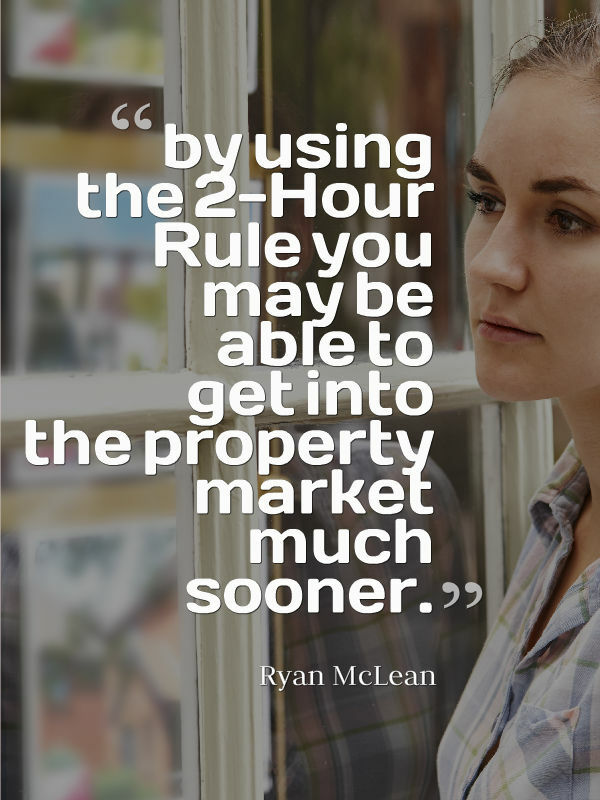 Use Ryan McLean’s ‘2 Hour Rule’ to find cheap investment properties close to home and get into the market. Welcome to the 30-day property journey. Over these 30 days (well we’ve only got 3 days left) I am helping you become a more confident investor by participating in activities that will help get you there. Today I’m going to talk about how to use the 2-Hour Rule to find cheap investment properties. A lot of you who live in capital cities will find it very difficult to get into the property market because it is so expensive. However by using the 2-Hour Rule you can find yourself very affordable properties and you may be able to get into the market much sooner. A friend of mine who lives in Sydney was recently looking at purchasing two to three bedroom properties and in the area that he was looking in a two bedroom unit was costing over $800,000. For a lot of people, we do not have and we need to get into the market at a lower entry point. In some circumstances, where we live may not be where we can afford to buy and so rather than trying to save for 24 years to save a large enough deposit to purchase your dream home in your dream area, sometimes it makes sense to instead go outside of where you want to live and purchase an investment property in another area. The 2-Hour Rule works like this: simply go 2 hours drive from where you are and you will almost always be able to find very affordable property. Let’s use Cronulla in Sydney for example which is where I used to live. Cronulla in Sydney is a very expensive suburb, however if you go 2 hours north of Cronulla you will find yourself on the north of the Central Coast and you can find properties up there, 3 bedroom houses or 2 bedroom houses, for under $300,000. If you go 2 hours south you will find yourself in Nowra where you can find 3 bedroom houses for around $300,000 or $350,000; and if you go 2 hours west then you find yourself in Lithgow where again you can find 3 or 2 bedroom houses for around that $300,000 mark, maybe $350,000 or $400,000. As you can see just by going 2 hours out from wherever you are you can dramatically decrease the price of an investment property. The reason I like two hours rather than one hour or three hours or seven hours is that two hours is something that you can comfortably drive in a day. You can drive there and back in one day,. It will be pretty tiring but it is possible to do. A lot of us drive at least two hours every single day commuting to work and then commuting back from work so two hours is a time slot that if we need to go and inspect the property; if we need to do maintenance on the property or wherever we want to go and go to open houses in the area then we are able to do that within that two hour mark without too much effort. If you are trying to look into somewhere that is really far away, well then obviously it’s going to be a lot more difficult to do these things. However, two hours is something that you can do at a moment’s notice. 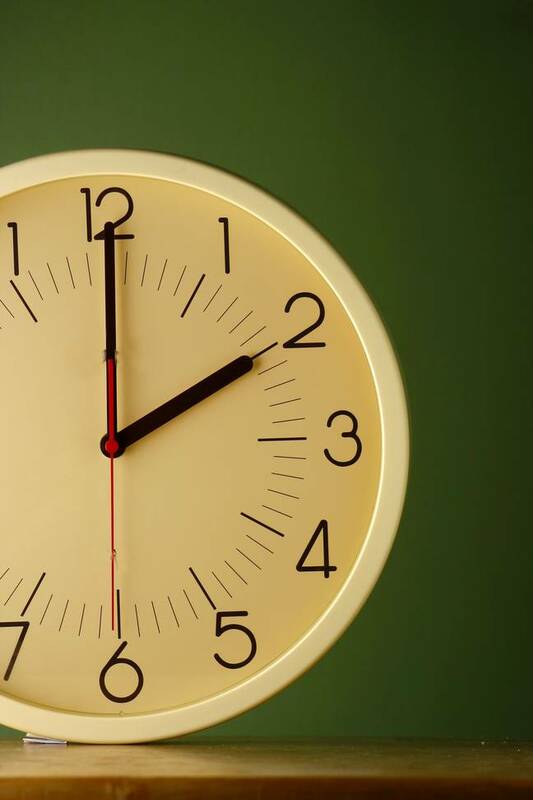 The 2-Hour Rule doesn’t guarantee that the properties in those areas are going to be good investments or that the area itself is going to be a good investment. I always recommend that you do your own research first before investing in any area. You need to look into things like population growth or decline of the area, infrastructure in the area, what is coming, what is there currently, what’s the job market like in the area, and what it is expected to be in the future. Look as well into the suburb and median prices and capital growth trends and things like that. This will give you a better understanding of the suburb and how the suburb might perform and then you can begin looking at individual properties and how is that compared to the market of that suburb so you ensure that you don’t buy property overpriced. Another good thing about going two hours out into these cheaper areas is that you may find the potential for positive cash flow in these areas because the properties are cheaper you may find a higher rental yield in these suburbs than you would find somewhere like Cronulla in Sydney where rental yields are something like 3% or 4%. By going out and going into cheaper areas you may find a higher rental yield area and it may be easier for you to turn a property into a positive cash flow property. Go on your phone or go on the internet to Google Maps and just look at where you are and work out what is about two hours drive from where you are going north, south, east and west if you can. Look around those areas and then go to realestate.com.au and look at the suburbs you find, see how much the properties are and then if it’s around your price range then you can go ahead and do some more research into that area. So that is the 2-Hour Rule. I found it very valuable and I know a lot of other people have found it very valuable as well. If you want more ways to find positive cash flow properties then go to On Property Plus and subscribe to our free video series on how to find positive cash flow properties. We are on the 3rd last day of the 30-day property journey. Congratulations for making it this far! We are just two more episodes to go and that is going to be it, so well done. I hope that you are growing in your confidence and that you do these activities so that you become a more confident investor. Okay guys, until tomorrow stay positive!